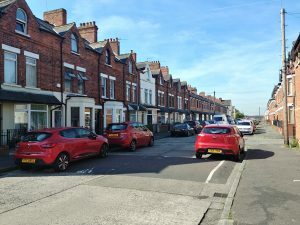 HMO fire safety – Belfast and beyond . . . If you own an HMO (that’s a House of Multiple Occupancy to anyone new to this), you will be fully aware of all the legal requirements, including an HMO Fire risk assessment, that is needed to get a licence. The Council and NIHE (Housing Executive) as well as the NI Fire and Rescue service all take a great interest in the management, facilities and of course the safety aspects. Whilst all these visits and checks may be time-consuming and a general pain, they are critical to ensuring the residents are not put at any danger. Focusing on the fire safety aspect, firstly you need anN HMO fire risk assessment to see what the risk to life is and what you need to do to reduce the risk of a fire and the likelihood anyone in the property will be harmed. Things that are considered in a fire risk assessment, range from the type and condition of your fire alarm, emergency lighting, the available fire exits (called Means of Escape (MoE)) to name a few. One consideration is the supply of mattresses, furniture and bedding. If you as a landlord supply these items then you need to make sure they comply with the Fire and Furnishings regulations. These do not cost any more than a regular item, but you need to check to see if there is a label stating compliance. Second-hand items may not be labelled and furniture from Ikea is rarely labelled. It is worth noting that if you have an item which is not labelled then, it isn’t automatically to be thrown out. Consider what the risk of this catching fire first. If it is in a sterile area then it might be ok, but the fire risk assessment must mention this! Don’t forget that you need to include the fire extinguishers which are a requirement for an HMO and the fire doors, which need to be fully self-closing! Remember to carry out the checks and tests, inform residents of what to do in a fire and look after the electrical installation! Getting a fire risk assessment completed on your HMO whether in Belfast or further afield in Northern Ireland, is the first step to ensure the property will get a licence, stay compliant but most importantly keep the occupants safe! Get in touch to discuss any concerns you have – it’s better to ask!